Research firm IDC tells us that the Android arms race is fast becoming Samsung's to lose. New figures out of the IDC camp show that Samsung moved 42.2 million smartphones in the first quarter of the year (2012) whereas HTC trailed with 6.9 million. The numbers are a snapshot of the world market and factor in all comers, including Apple, RIM, and Nokia. HTC France has undergone legal action, somewhat aggressively against a French HTC enthusiast site HTC Hub. The crime? Posting a video of the unboxing of a HTC One S about a week before it’s official release. Peter Chou has made good on his word to no longer lock the bootloaders of HTC Android phones. 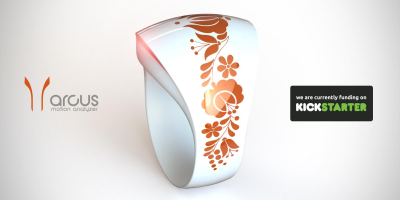 It was noticed by XDA member Nightwing, while tweaking an HTC Rezound. 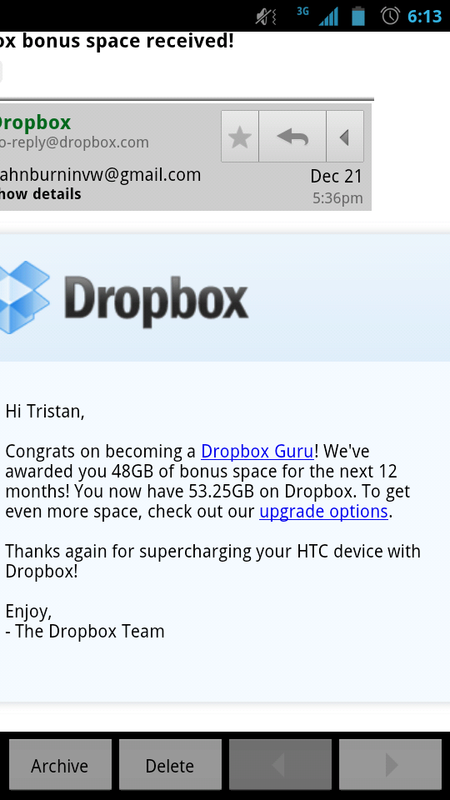 HTC to give users extra DropBox storage with ICS? We just got word from a reader (thanks, Tristan!) that's quite interesting. He installed the Sensation Ice Cream Sandwich ROM that we told you about yesterday, and upon logging into DropBox, received the above email. He was surprised to learn that he'd been given an additional 48GB of storage, for "supercharging his HTC device with DropBox". It's unclear if this is part of the ROM, or if HTC and DropBox are giving users an incentive to choose Sense on their next Android device.